This guest post was submitted by Steve Rhode who is a consumer debt expert and helps debtors learn about getting out of debt and avoiding scams. Actually, it’s the same thing about the privacy and giving away your personal details (and property) to people that you don’t know. I understand that this is really a well thought scam, but it breaks my heart to hear that elderly people are being ripped off like that. Especially, because they had the best possible intention in the world. Hello Ana, I agree. It is really a horrible scam that plays on emotions. I think the perps who prey on the elderly are the lowest of the low. 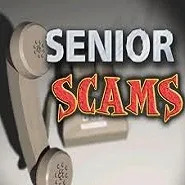 There needs to be stricter laws that protect the elderly from scammers. Hey Joe, I agree. Any sort of scammers are the lowest of the low in my book, but people that prey on the most vulnerable in society are the worst. A good friend of mine had his grandparents fall prey to this scam. These guys knew his name and told his grandparents that he was stuck in a Mexican jail. The poor grandparents were taken for over $6,000 in less than 2 hours. How anyone can take advantage of the unknowing like that is beyond me. I can understand the grandmother’s emotional response. But an intellectual response was needed, too in order to protect her. The grandmother could have contacted the parents and casually asked about how her grandson was doing and where he was off too, now. When the parents said “he was here last night for dinner” or whatever it could have avoided this whole fiasco. This is ungodly and inhuman. These scammers are playing with feelings of other people in order to receive their benefits and clean our pockets. Shame on all those fraud people involved.